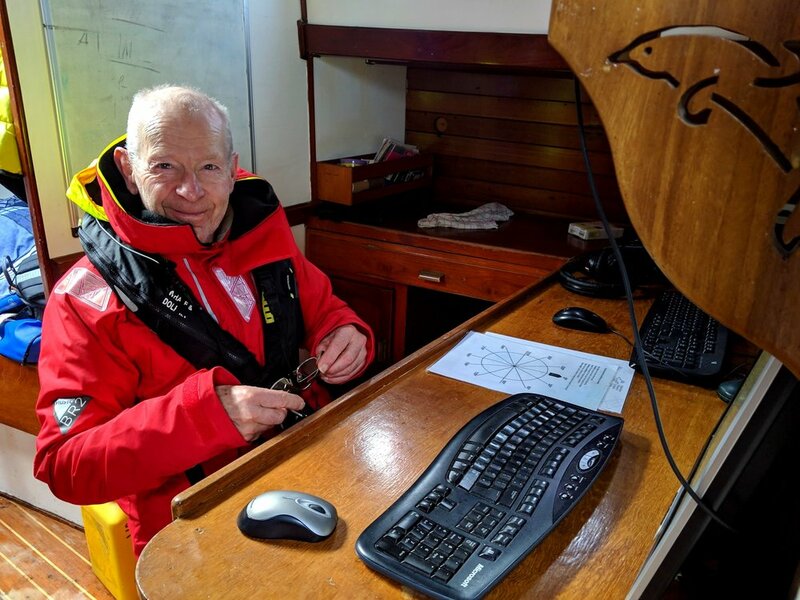 Our last winter survey departed with a special volunteer on board - Andy Tait is one of our longest running and dedicated volunteers and has been working with the trust for 25 years. Andy continues to return to the island throughout the year, helping to spot marine life on board whale watching cruises with Sea Life Surveys. Sea Life Surveys are a key data partner, providing effort-based sightings and photographs of individual animals, many of which are taken by Andy. Andy also assists at the Mull aquarium where he is known widely as Professor Plankton due to his amazing knowledge and enthusiasm of all things plankton. He even collected and identified some plankton during the survey. Thanks so much for joining us Andy and for all the work that you do. Five other fantastic volunteers joined us on board on the 19th March. We left Tobermory the next morning after refreshing the cetacean ID skills that they had learnt during their pre-trip training day. We soon realised that it wasn’t going to be ‘smooth sailing’, as strong winds made spotting conditions a bit difficult. Despite some of the team feeling the conditions slightly, we arrived at our anchorage at Ulva island in calm conditions and sat down that evening to a wonderfully curry and some much needed cake! The next day we made our way back Northwards, with winds persisting throughout the day. However, with the wind behind us this time and everyone gaining their sea legs the day before, we had a great sail, passing through through the Treshnish Isles on the way. In the afternoon we headed east down the sound of Mull, anchoring in the bay by the magnificent Duart castle. That evening the clouds lifted and we were bathed in moonlight, as Andy showed and identified a variety of plankton during a plankton party! The final day of the survey saw the calmest conditions yet! We surveyed Loch Linnhe, sailing the waters around Lismore, before returning to Tobermory. The final day brought the most sightings of the survey, with certain areas of Loch Linnhe seeming like ‘porpoise soup’! We even saw a lone common dolphin in the area. Even though common dolphins have been sighted in this area before , they are usually seen further from the coast, and in Hebridean waters they are usually found in groups of about 10 to 30 individuals. 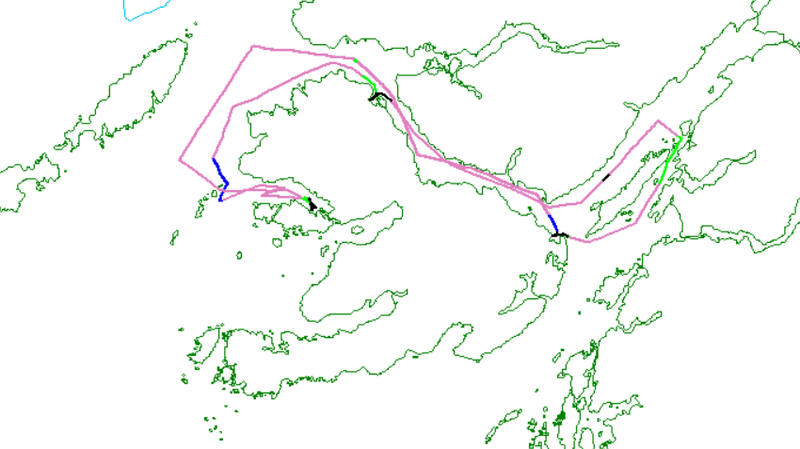 In total, we covered 122 nautical miles, collecting over 18 hours of acoustic data, with our citizen scientists also spending over 18 hours on effort, looking for whales, dolphins and porpoises. During the survey we encountered harbour porpoise, common (harbour) seals, grey seals, and a lone common dolphin. We also had an increase in the amount of birds that we counted during the survey, compared to the two previous winter surveys. The majority of the marine birds that we saw were once again displaying the summer plumage. Spring is truly on the way! Time for the summer surveys to begin! Four Razorbills showing off the summer plumage! All of the volunteers on board were awesome! We couldn’t collect this new and vital data without you. You were all fantastic. Thanks to all of you! Feeling inspired to get involved with our marine conservation efforts? We still have spaces on our 2019 summer surveys. Come and join us on board for your chance to contribute to our research and encounter some of the amazing wildlife we have in our waters!